Such lovely quilts, and the sashing strips suit the design so well. I wouldn't have thought to make the sashing from extra squares, genius! 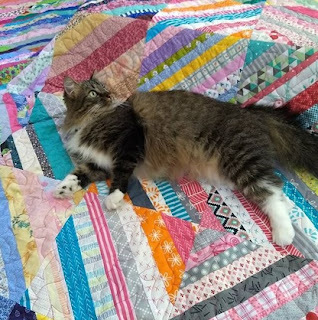 I made one of those quilts. 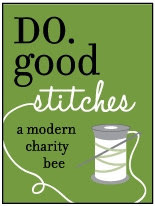 It is a free pattern called Film at Five from https://weddingdressblue.wordpress.com/. These look great and cheerful! I was excited to see the two tops all finished. 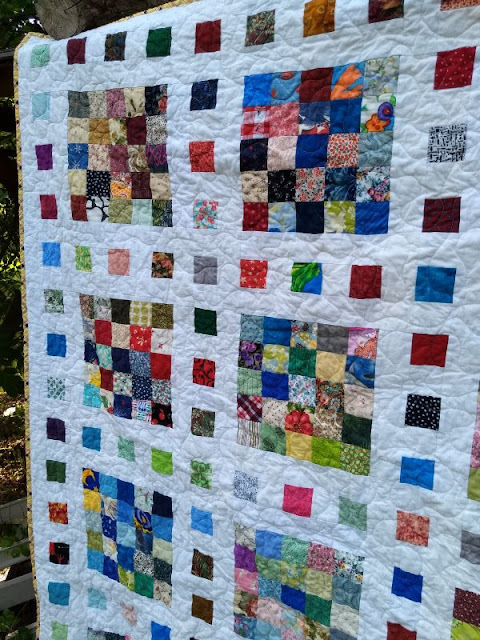 The quilting looks wonderful and I love the scrappy binding in the first one. Thanks for giving these tops a new life. What a gorgeous scrappy quilt. 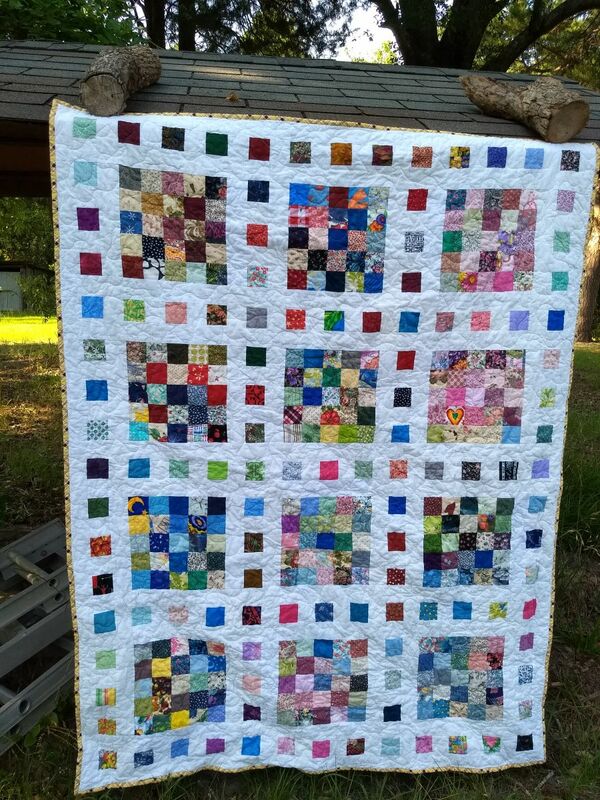 Great pattern and such a fun way to use scraps! The Rainbow Heart is SO CUTE!! 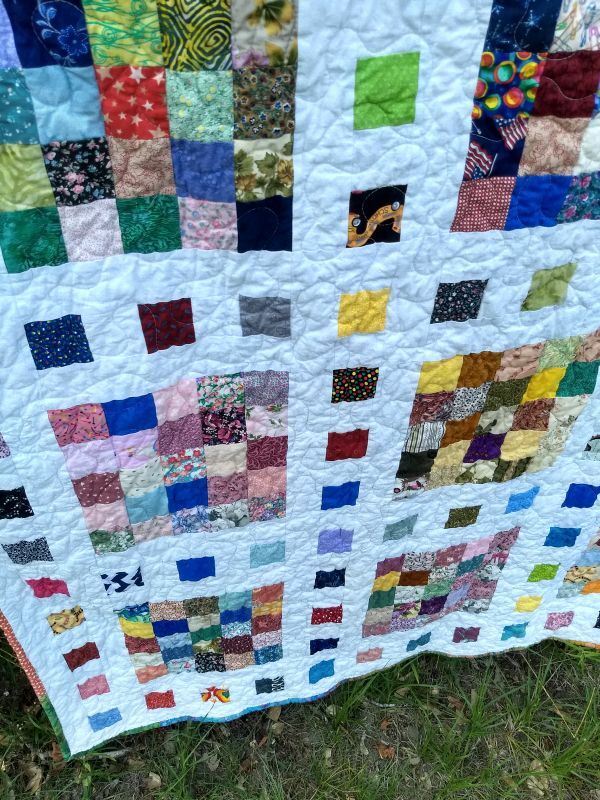 Great scrappy quilt! It's comforting to see that someone else has fabrics in their stash that are as old as some of mine! This is a darling quilt - well done to both of you! 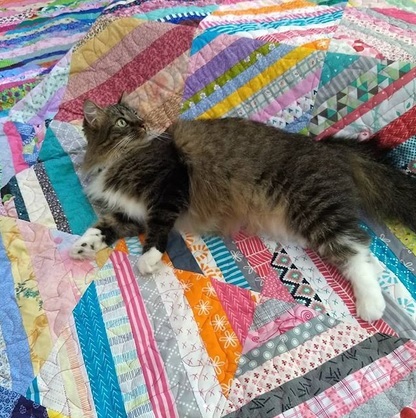 "Every scrap quilt is an eye-spy quilt." So true Kat!!! Yay, Katie! What a fun pattern. I'll have to try that one! Heaven knows I've got enough 2.5" scraps, ha! 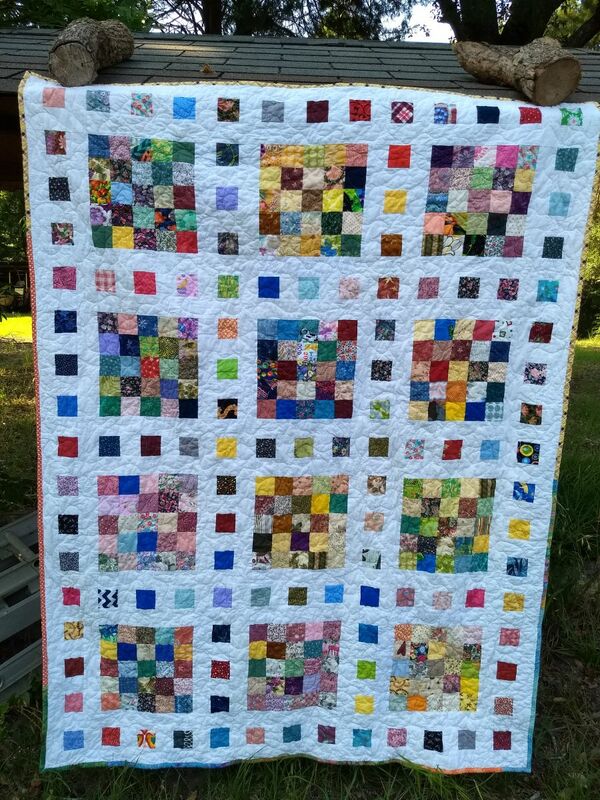 I'm glad to hear that quilting is giving you a break from your studies and that you're keeping cool inside. We've finally reached temps that have forced us (OK, forced ME) to turn on the a/c, too. 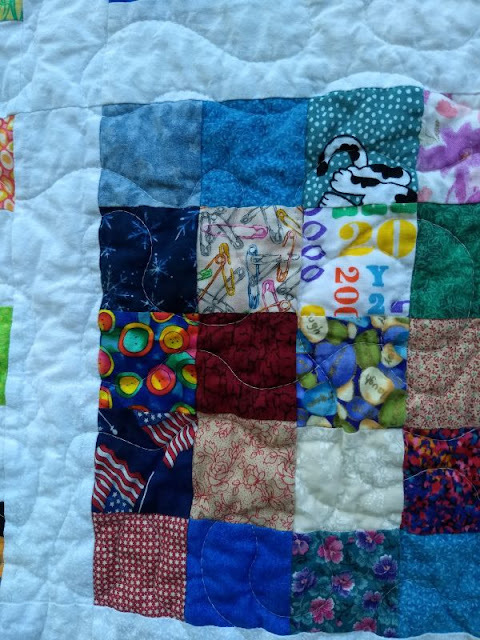 Great scrappy quilts. I love how you hung the quilt for the photos. Great idea! 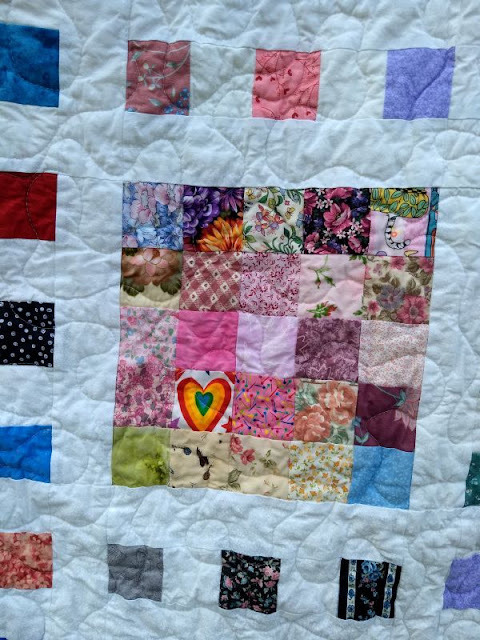 Love seeing all the quilt you quilt.